Before the formation of the Premiership in England (1992), and the growth of the Champions' League throughout Europe, the top level of the game in England was in many ways an amateur organization. Clubs in all divisions were constantly in debt, and survived only by selling talented players they had developed. Income came only from ticket receipts, limiting what a club could earn. Big television contracts came later: the Football League signed a two-year contract for 6.3 million pounds in 1986, but four-year deal for 44 million in 1988. The most recent deal amounts to 2.7 billion pounds over three years (yes, with a "b"). I have made a strong point during all the referee-instruction I have done to emphasize to referees that there is much to learn from players. We must understand how they think, we must listen to them as they chatter on the field or whisper in your ear. We must watch their responses during the heat of competition to try and anticipate what might happen. And we must glean wisdom from them. For one fundamental truth about players is this: They know more about the game than we do. We may know the laws, but we don't necessarily understand the nuances, the subtleties that pass between players. And many times we don't understand what they are doing . 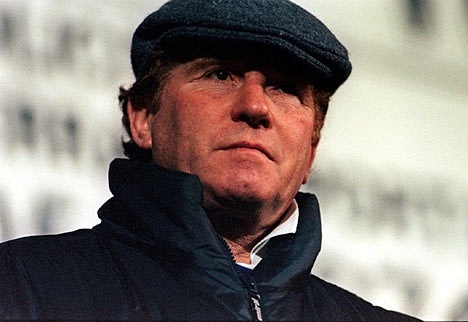 This man--Alan Ball--who played on England's World Cup winning team of 1966, taught me something I never forgot. Nobby Styles, his teammate that day, said of him at Ball's funeral last week: "I think all the lads agree he was the best player on the pitch by far. He covered every blade of grass." He was a great player, who came over to the NASL years after the World Cup win to play for Philadelphia and then Vancouver during 1978 and 1979. We crossed paths at that time, and here is something I learned from him and then incorporated into my game as a referee.